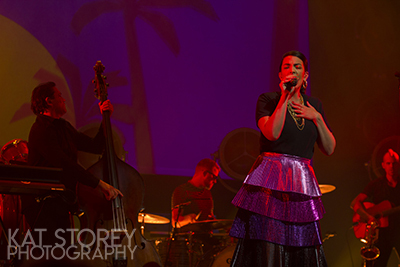 Caro Emerald and her brand of jazzy, sultry swing graced the Symphony Hall for a night of fun and humid-holiday vibes, a welcome break on a chilly October evening. 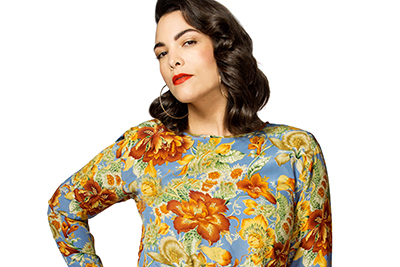 As a long-time fan of Caro Emerald's I jumped at the chance to review her brand new EP, Emerald Island. Caro's sultry jazz voice and catchy songs have attracted fans of all walks of life. She provides a refreshing change to the norm, cutting through the overproduced pop with a spicy, yet smooth, and utterly unique sound. 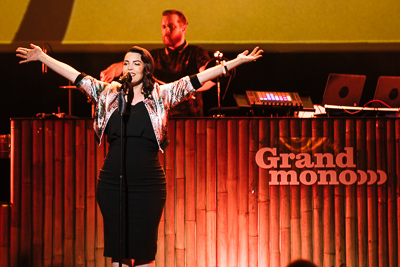 Sun, a bit of mystery, but most of all, good music… that's what we are promised by Caro Emerald tonight, as she enters the stage at the Royal Albert Hall, for the first London show of her 'Emerald Island' tour (she is returning to London's Roundhouse on April 29th).